L’isola is Italian for ‘The Island’. On honeymoon in Italy a while back, I was inspired by the scenes of Tuscany. The hilltop villas, farmhouses and walled cities looked like islands to me. Afloat in a sea of rolling hills and vineyards. And like islands, their beauty, charm and culture remain largely protected and intact. It was also symbolic of how my wife and I felt then. That feeling of divine protection which new love gives. We felt we were floating above the world – yet more deeply in it than ever. 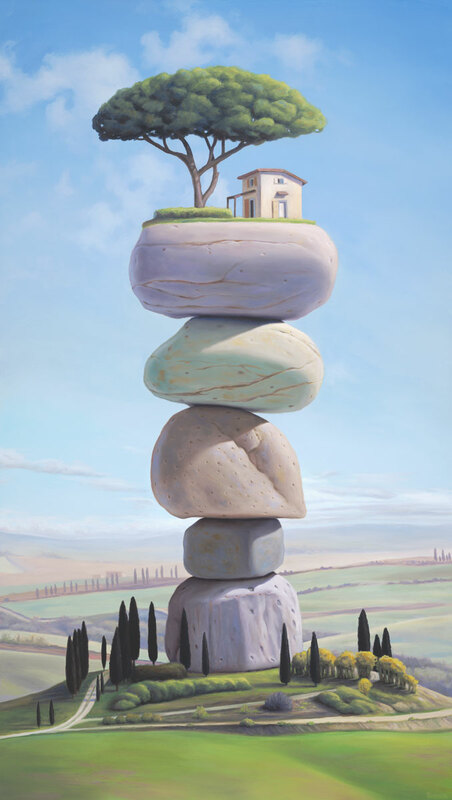 With a heightened perspective of what is important in life – as represented by the perched farmhouse.